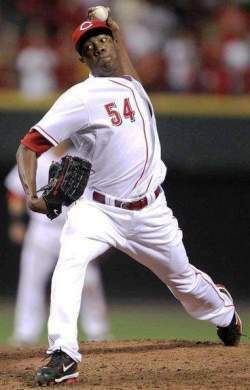 The Cincinnati Reds played two games yesterday, allowing both Aroldis Chapman and Mike Leake to start on the same day. The comparisons between the two will be constant throughout the Spring, as both are vying for the 5th starter’s slot. With Leake, we have a good idea what he brings to the table: a solid, average starter with the potential for a little more. With Chapman, we know how he did as a lights-out closer last year, but no one knows how the conversion to a starter will affect him. If yesterday’s results are any indication, it could go very well. Chapman pitched two perfect innings. That’s no runs, hits, and no walks. He struck out one. 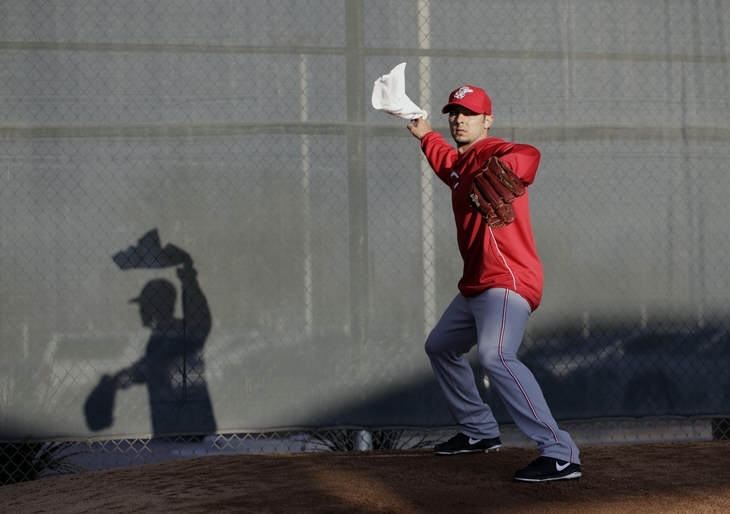 As is common in the beginning of Spring Training, Chapman threw mostly off-speed pitches. I think everyone is, except maybe manager Dusty Baker, who’s likely to lose his favorite closer. As for Leake, he was, well, average. In two innings, he allowed one run. But in a somewhat uncharacteristic fashion, he struck out three. I’m rooting for Chapman to succeed as a starter. But having Leake as insurance is a very nice policy.